A guide to design and undertake an analysis of environmental, technological, socio-economic, cultural, market, policy (both institutional and regulatory), and political factors that influence the scope and design of a WSI. A set of key questions to be analyzed for WSIs is provided below. Undertake a participatory context analysis. 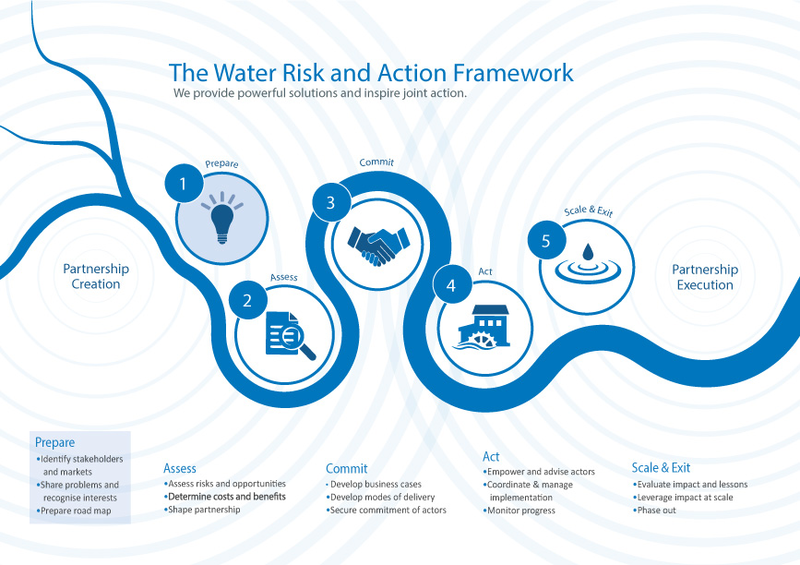 How can we best align the objectives of the WSI within the local water context? 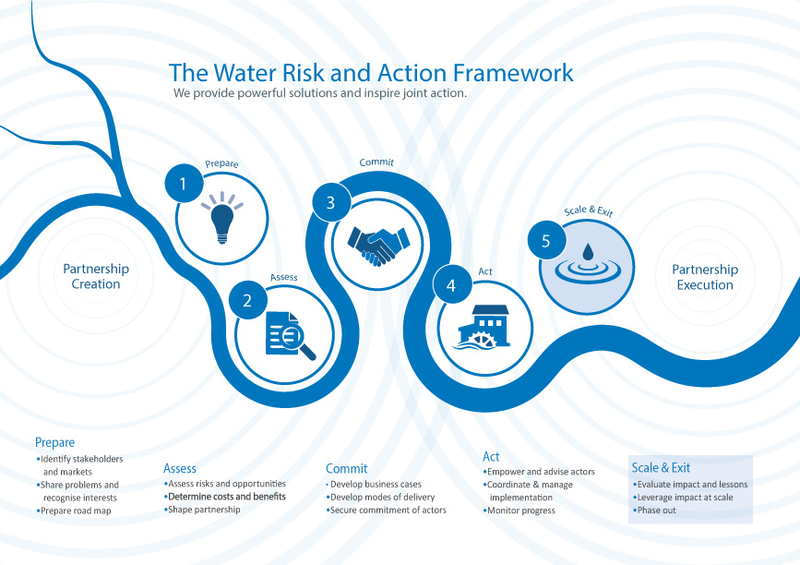 What are the major water challenges that the WSI can address, what are the opportunities, and how might the WSI be integrated into the existing institutional environment? Support the design of appropriate and high-integrity WSIs that consider multiple interests. Know which factors and trends are influential and which assumptions underpin the WSI. Contribute to the monitoring and evaluation of the WSI by setting out baseline conditions. Thorough analysis and data collection efforts depend on existing knowledge and availability of relevant assessments. Should start the analysis during 1: Incubation and Initial Analysis and be completed during 2: Formalization. The diagram below lays out the key steps in undertaking a context assessment. Depending on a particular WSI and the local context, WSI initiators will need to make determinations as to the particular type of setting for the analysis. A context analysis is a structured approach to understanding the root cause(s) of the water-related challenges the WSI aims to address. 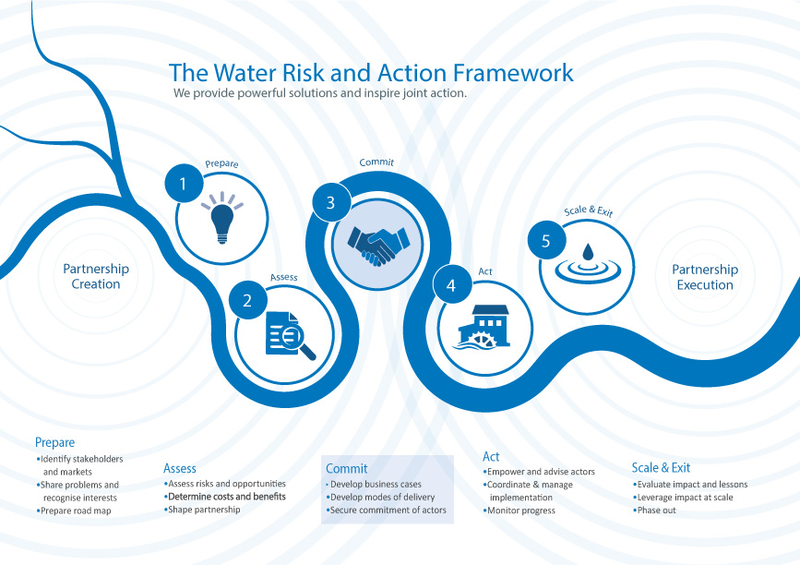 Rather than be pursued as a stand-alone exercise, it can be integrated into existing water-related assessments, such as a water risk assessment or appraisal, or other mechanisms that look to understand the contextual factors that influence water risks. Where information gaps exist, the participants or conveners can later supplement the assessments with additional areas of inquiry. The insights resulting from a context assessment are key to designing appropriate strategies for the WSI that are based on a logical theory of change, and that respond to local realities and take the interests of different stakeholders into consideration. For example, site-specific problems may range from water allocation issues or unreliable water supply to damages resulting from flooding or the degradation of the ecosystem. To address such complex issues, WSI participants must understand what is going on and why. Typically, problems may reflect various gaps in the water management system, such as deficiencies in financing or managing infrastructure investments, water program implementation, or catchment governance. These issues are, in turn, influenced by an intricate set of drivers and trends in the wider environment that may be beyond the control of WSI participants, but that need to be understood in order to achieve the WSI’s intended benefits. Do not wait too long to do the analysis, as it provides key insights for planning. Use credible and well-respected experts whenever needed. Ensure that findings are neutral and objective. Conduct the analysis as a participatory process from procurement to validation of results. Use current trends and prospective findings to strengthen the rationale for the WSI. Be sure to understand the political economy, which concerns why things happen and how they can be influenced. The context analysis needs to make use of a holistic analytical framework. Besides describing the state of affairs, current dynamics and trends, it should develop scenarios to strengthen the rationale for the WSI and further sharpen strategic orientations.The STEEP (social, technological, economic, environmental, and political) framework, used worldwide by companies in strategic analysis and market research to gain an overview of the different macro-environmental factors, provides a useful template. Table 8 adapts this framework to the relevant dimensions of water stewardship. Table 8 is a compilation of potentially relevant questions that has been prioritized within each example. WSI participants will need to adapt and prioritize questions according to the nature and scope of their initiative, as well as the status of existing context information. Does reliable data and information on water availability and quality exist? What does it cover, and is it accessible? To what extent have there been water stress or supply shortages in the river basin or watershed? Are the legitimate and basic water needs of other stakeholders (including the environment) affected negatively because of large-scale water users (e.g., abstraction, pollution, by companies and their partners in the supply chain)? Have there been any water-related conflicts? If so, who was involved and what were the conflicts about? Which ecological factors affect the successful implementation of Integrated Water Resources Management (IWRM)? To what extent does increased climate variability alter underlying water resources and make existing supply arrangements and infrastructure inadequate to meet existing or anticipated demands? How does climate change influence local, national, or regional (or trans-boundary) debates on the need to address shared water risks? To what extent do demographic patterns (e.g., population growth, changes in preferences for living arrangements, household consumption) affect: (1) the demand for water access, sanitation, and hygiene (WASH) services, (2) the competition among water users, (3) the locations where water infrastructure can be built or operated, and (4) the consumer base available to support infrastructure development and maintenance? How does economic development activity in the catchment (e.g., industrial, commercial, agricultural) affect demands on existing water resources? What impact does this have on water quality and the ecosystem? How do other socio-economic factors (e.g., social cohesion, poverty and livelihood considerations, cultural attitudes, gender, and values) influence the relationships with service providers, the role of the community in the management of WASH services, stakeholder engagement, security, etc.? Are there local social structures that the WSI can build on to enhance its effectiveness and reach? To what degree are social norms and expectations at country and catchment levels evolving with regard to water quality and accessibility, and to the maintenance of ecosystems and species? Who makes what decisions with regard to economic priorities and public investments that may be relevant to the WSI? Who are the dominant actors within the market, and who gets sidelined? (See Tool 3, Stakeholder Mapping). Are policies and regulations that govern the goals of the local economy consistent with those around protecting and allocating water resources? How is the local economy evolving? What are the likely influences on water use by producers of goods, or shifts in resulting use of those goods by consumers? How do new entrants gain access to licenses (e.g., for water abstraction, effluent discharge, solid waste collection)? What is the scope for small-scale financing or credit to WASH providers? Have there been payments made for environmental services (e.g. taxes or fees)? What does the future look like? How comprehensive, clear, and harmonized are sector-specific policies, and are they available in writing? To what extent does the government prioritize IWRM and other water-related policies? How do policies and regulations from other sectors influence activities in the water sector (e.g., land rights, land use)? How comprehensively are sector policy and legislation applied? How aligned with public policy goals are (current or envisioned) WSI objectives and activities? How well defined are public policy priorities in the catchment area? How concretely is water recognized as contributing to these objectives? How well defined are government roles related to the delivery of water-related public policy goals and objectives? Which institutions set out the rules and regulate the activities around which the partnership is organized? How effective are public institutions in terms of their capacity and resources to deliver on and regulate water-related public policy goals and objectives (at country level and/or at local level)? What is the impact of decentralization? To what extent do stakeholders have good access to information? Are they being consulted? Do they have access to complaints or redress mechanisms for their grievances? How clear and comprehensive are the regulations relevant to the planned activities of the WSI? How clearly are roles and responsibilities allocated amongst different levels (municipal, district, national) of regulatory actors? Are these actors sufficiently independent? To what extent is there competition among regulations (environmental protection, water rights allocation, tariffs, quality standards, service standards, abstraction rates, procurement, etc.)? How well defined and enforced are procurement regulations and anti-corruption mechanisms? Are the relevant regulations adequately enforced? To what degree do stakeholders know and adhere to them? To what extent are breaches of agreements and other forms of illicit practice and corruption that may occur in a WSI considered to be a violation of the law? Are sanctions clearly defined? In the absence of a functioning judiciary, to what extent may international companies be subject to legal liability in local and/or national jurisdictions? How feasible an option is legal action in the event of escalation of conflicts within or related to the initiative? Which traditional forms of conflict resolution exist? What could their relevance be in the context of the WSI? How do formal and informal decision-making processes at local government and community levels work? Who are the key players, and how representative are they? What are the prevailing attitudes within each major stakeholder group toward multi-stakeholder partnerships? What are the prevailing attitudes within each major stakeholder group toward transparency and practice in terms of codes of conduct? How much space already exists for advocacy and networking around the issues tackled by the WSI? To what extent can the WSI be affected by the political cycle, a change in power structures, or individuals in power? How much could a shift in government or stakeholder priorities influence the involvement of different WSI participants? What is the current relationship between the public, private, and civil society sectors (e.g., adversarial, unconnected, supportive, mainly based on philanthropy or CSR)? What are the attitudes of the different stakeholder groups toward each other? What has been the experience of WSIs or IWRM-related multi-stakeholder partnerships in the country and in the area? What kinds of roles have these partnerships played to date (e.g., regulatory/policy, investment and finance, implementation, technology innovation, social accountability innovations, other)? 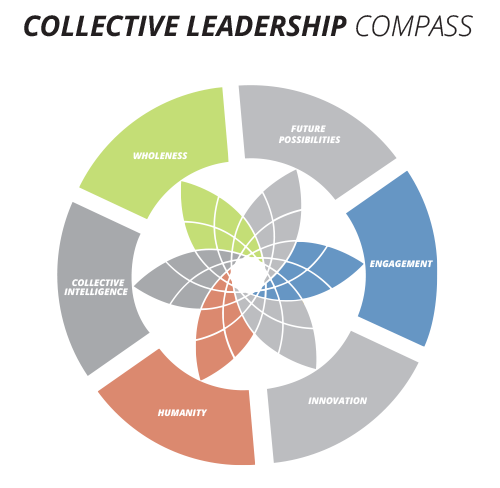 What level of engagement have they achieved (i.e., informative, consultative, collaborative, integrative)? Can higher levels of engagement be envisioned? Are they generally successful? Sufficiently “partnership oriented”? Are there examples of multi-stakeholder partnerships operating outside the IWRM sector (WASH, energy, health, education, etc.)? If so, how successful have these been (or been perceived to be), and do they provide any lessons for the WSI? For examples found, how vested are the different stakeholders in the partnership? What is the nature of and commitment to their contribution (e.g., merely a funding channel for NGO projects, a lobbying mechanism for the private sector)? For examples found, what is the national, regional, and local interaction within these partnerships? 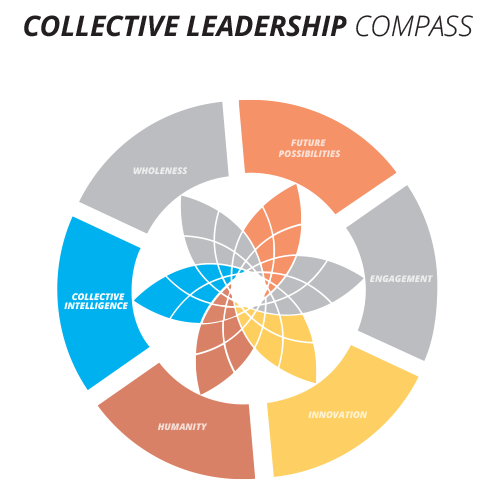 How does (de)centralization shape these relationships? What other kinds of relationships of a formal nature (public-private contracts, public-NGO service delivery contracts, etc.) 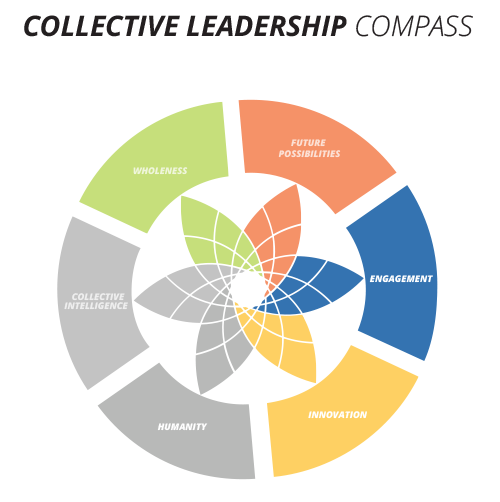 exist among the different stakeholder groups? What kinds of relationships beyond standard contracts (e.g., for regulating, advocacy, innovation funds, policy platforms, etc.) exist among sectors? Are external donors supporting such efforts? If so, how? What are public sector incentives to and attitudes toward convening, leading on, and engaging in multi-stakeholder partnerships? Do officials have the required capacities and skills across different levels of jurisdiction (center, provincial, district, etc.)? What traditional roles have civil society organizations played in multi-stakeholder partnerships? What might further support their engagement in or strengthen their role in a WSI? How adequate is the existing capacity and operation of water infrastructure for water supply and waste disposal? What are the impacts on companies and local communities? Are growth rates (demographic, industrial) outstripping supply and treatment capacities? What are the short- and mid-term scenarios? What is the level of awareness of maintenance requirements to ensure effective operations in the long term? Are efforts being made to increase awareness among different stakeholder groups? What is the technical capacity to support the planning, operation, and maintenance of the infrastructure? How are gaps in technical capacity being addressed? How appropriate are the financial mechanisms in place to ensure the capital investment and ongoing operational costs of the infrastructure? What measures, if any, are being put in place to address any gaps? Ken Caplan and Robin Farrington. (forthcoming). 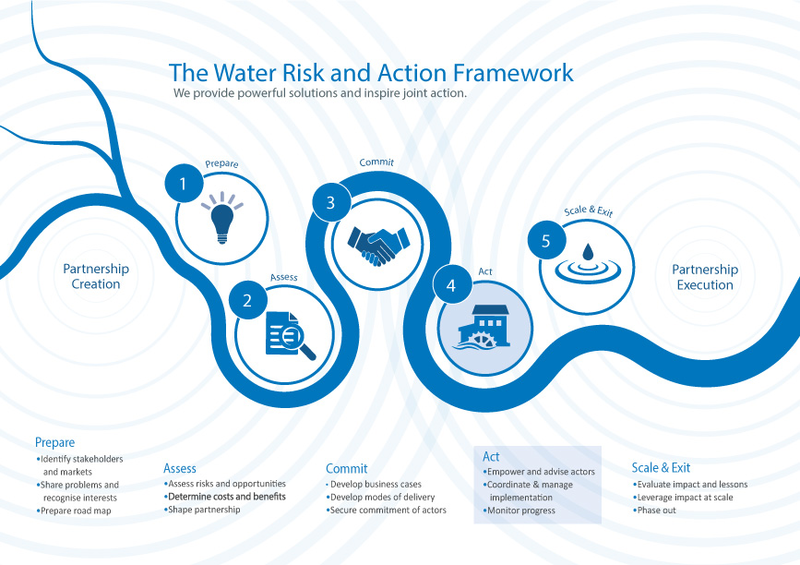 Emerging Lessons from the Water Futures Partnership: Collective Action Guide, Part 2. CEO Water Mandate. September 2013. 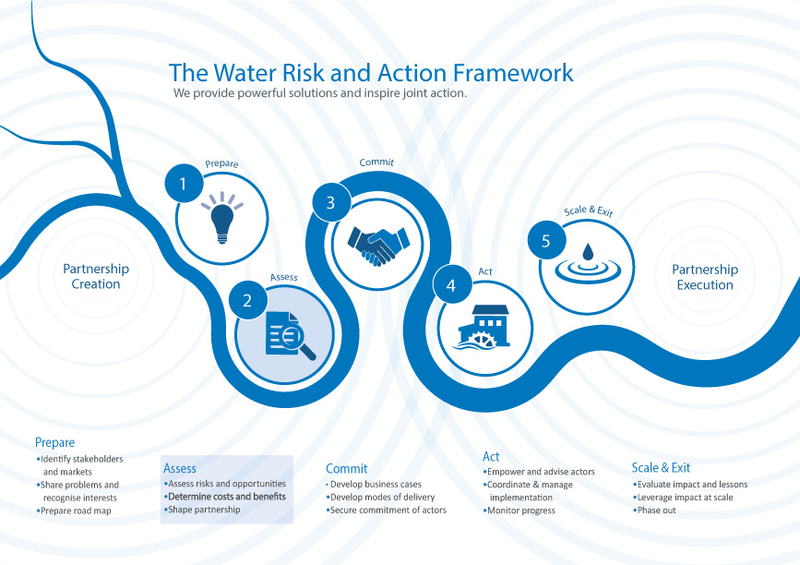 Guide to Water-Related Collective Action. Alan Thomas, Joanna Chataway, and Marc Wuyts, eds. 1998. Finding Out Fast: Investigative Skills for Policy and Development, pp. 307–332. (London, Thousand Oaks, New Delhi: Sage). Department for International Development (DFID). July 2009. “Political Economy Analysis — How to Note: A DFID Practice Paper.” London. United Nations Development Programme (UNDP). 2012. “Institutional and Context Analysis Guidance Note.” (New York: UNDP). Joy Moncrieffe and Cecilia Luttrell. 2005. “An Analytical Framework for Understanding the Political Economy of Sectors and Policy Arenas.” Overseas Development Institute (ODI). European Commission. 2011. Water Project Toolkit, p. 98 on. (Luxembourg: EU Publications Office).